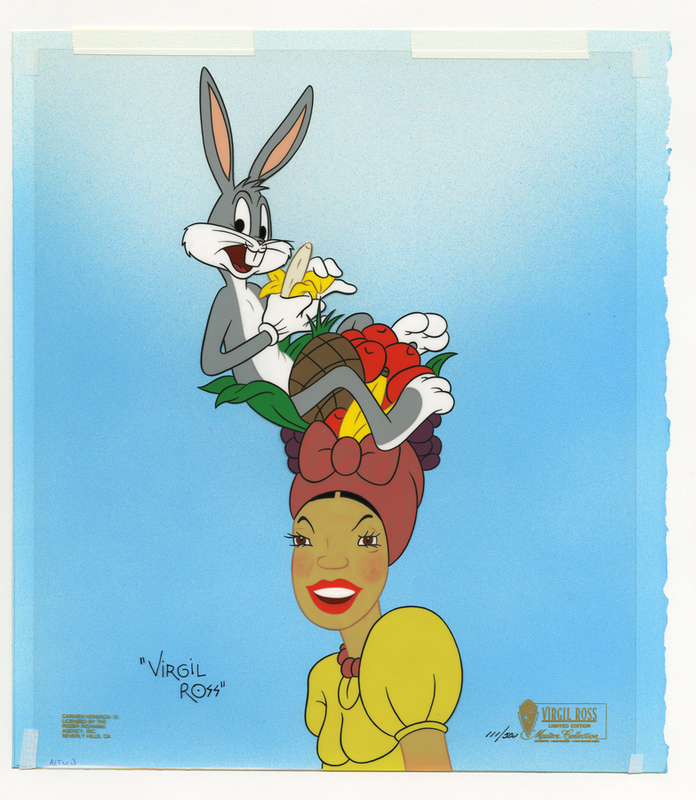 This is a hand painted limited edition cel created by Warner Bros. Studios, titled Tropical Hare. This cel features Bugs Bunny and Carmen Miranda and was created in an edition of only 500 pieces. The overall measurements of the piece are 12.5" x 10.5" and the image itself measures 12" x 5". 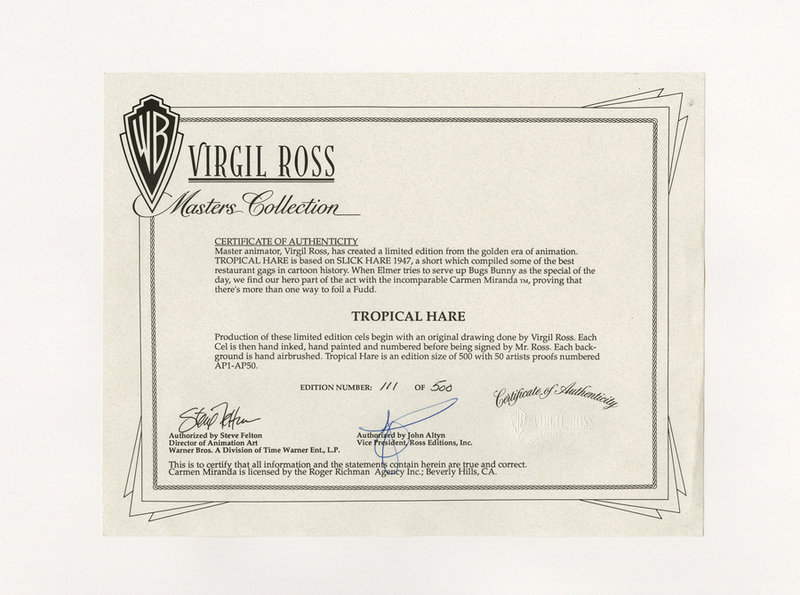 The cel is hand-signed by Virgil Ross and is hand-numbered as well.